The Columbia River Gorge calls to many fishermen and fisherwomen but not every fisher has the time to get to the Columbia River as often as they would like. The Sandy River Delta is a great location to get your fishing fix without having to travel as far out of the city. The Sandy River Delta is located off the I-84 just one exit past Troutdale. 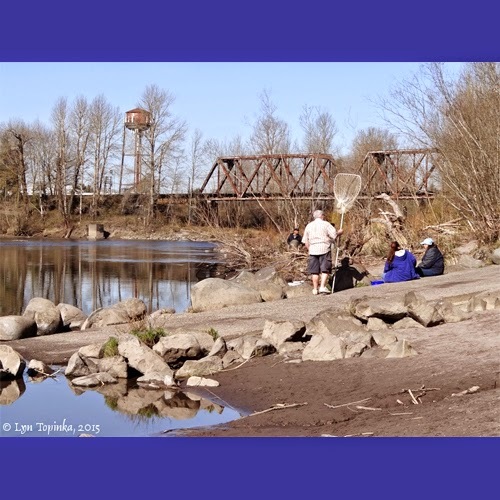 Learn more about what the Sandy River Delta has to offer besides fishing below. Sandy River Delta is a multi-use recreation area open to a variety of recreation uses including equestrian use, hiking, biking, and hunting in the allowable area. Within quick driving distance of Troutdale, Gresham and Portland, this is a great place to get out and enjoy nature. Great views, extensive trail system, bird blind and easy mountain biking make this site a quick retreat from the city.